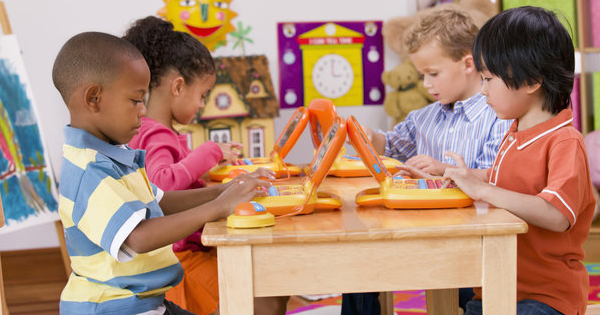 A recent study took a good look at children in preschool to determine if black and white students are treated differently. The results were very revealing, especially to the mother of two black children in preschool, both of whom had been suspended at different times from school for bad behavior when other white children guilty of even worse behavior got off with just a phone call from school. The study was conducted by the Yale Child Study Center and showed clearly that preschool teachers do indeed treat their black and white students differently. For example, when teachers were asked to view a video in which they knew they would see bad behavior by students, most of the teachers kept their eyes on the black students. In another part of the study, teachers were asked to read a story about bad behavior by a preschool student. Teachers reacted differently toward the student when the student's name was changed from Emily to LaToya. While white teachers reacted more mildly when a black student misbehaved, black teachers reacted more harshly. Study leaders believed the reason could be that white teachers expected black students to misbehave, but black teachers were stricter, perhaps trying to prepare black students for the real world. Biases and stereotyping can affect children the rest of their lives, which is why the study recommended that preschool teachers get more training and guidance on this topic.